A report by the Canadian Federation of Independent Business (CFIB), which represents Canada’s small and medium sized businesses, estimates that the country’s regulatory burden costs Canadian businesses nearly $6,000 per employee per year, with the cost falling heaviest on small businesses. 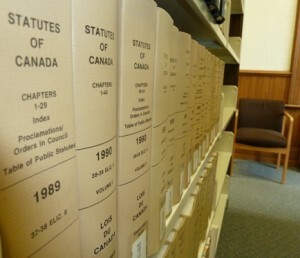 The report, done in partnership with auditor KPMG, also found that compliance costs are higher in Canada than the US for businesses in all size categories except the largest – those with 100 or more employees – for which per employee costs in Canada, at $1,146, are slightly lower than the $1,278 cost in the U.S.
For the smallest businesses, which are categorized as those with 5 or fewer employees, regulatory costs in Canada average $5,942 per employee, significantly more than the $4,082 per employee cost in the US. In the survey outlined in the report, 31 percent of Canadian business owners said they may not have gone into business if they had known the burden of regulation, a discouraging finding for Canada’s business environment. The report is the second major analysis in the last year showing that regulations are placing a heavy burden on Canada’s smallest economic players. A study by the Canadian Labour Market and Skills Researcher Network (CLSRN) last October found that occupational regulations are preventing many of Canada’s immigrants from working in their field of study, at a cost of $2-5.9 billion a year to the country’s economy. Like most OECD countries, Canada has experienced gradual regulatory creep over the past several decades, as a diverse array of labour and business interest groups have promoted the expansion of regulations in their respective sectors, to limit the competition they face from the greater labour and business markets. A One-for-One Rule which will require compliance costs imposed by the enactment of new regulations to be offset by an equal reduction of regulatory compliance costs through the reduction of existing regulations. A Small Business Lens which will require regulators to take into account the costs imposed on small businesses by regulations. The publication of Forward Plans, which will inform businesses of upcoming regulatory changes 24-months in advance of their enactment, to allow them to prepare for the changes. Service Standards that set targets for speedy issuance of licences, certifications and permits, and encourage the establishment of feedback mechanisms by regulators for businesses subject to licensure. An Annual Scorecard which will publicize progress on reforms, in particular the One-for-One Rule, the Small Business Lens and the Service Standards. In addition to the six systemic reforms, the plan requires 90 department-specific reforms over the next three years. The President of the Treasury Board of Canada, Tony Clement, described the Red Tape Reduction Action Plan as a “game changer” when it was unveiled last October.